Strictly part of the Fantastic programming in Lille, I could not resist giving Le Tripostal its own mention as this exhibition was a world within a world of wonder. Both the kids and Matt and I were agog at the sumptuous presentation of whole galleries devoted to the wild imaginings of each featured artist. 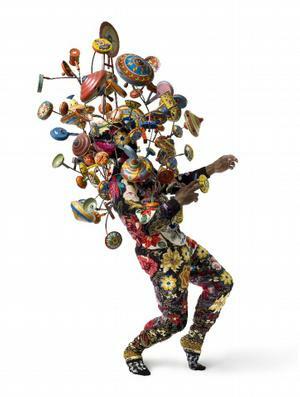 Nick Cave’s costumes and films of dancers animating them were a highlight for their sheer exuberance and joy. The cool contrast of Borre Saethre’s space age world was intense as was the ghoulish baroque imagination of Marnie Weber. The exhibition saturated our senses and packed us off back to Brussels with enough food for thinking, drawing and dreaming to last us a month.